All of a sudden, my thoughts were interrupted by the whimpering of the baby in the cot. When I opened my eyes, my room was bright, full of the morning rays of light. I looked at my dainty pink clock. It was 8 a.m. What a disappointment, I missed my Fajr prayer again! Whether it is a busy day or a weekend, missing Fajr prayer leaves you with a feeling of guilt that burdens your heart all day long. Alhamdulillah, though, I discovered an app a week ago called ‘Never Miss Fajr’. The app is absolutely free to download both on the iPhone and Android. This ingenious app has been well-designed. Not only does it not have a snooze button for those who have outsmarted their alarm clocks, but the adhan also plays continuously until you make it stop. In addition, you cannot turn down your volume button or exit the app. Quite simply, you have to do as instructed on the screen. I was excited to try out the app as soon as I downloaded it. I configured my prayer time calculation in the settings tab to ‘Muslim World League’, though there are other options, including Egypt, the US and Pakistan. There are two wake-up alarm types to choose from — the ‘Shake to Wake’ and the ‘Trivia Islamic’. I decided to select the ‘Shake to Wake’ option to begin with. I set my settings to 20 shakes (though you can go as high as 100 shakes) and the soothing call to prayer I remember from Makkah as my adhan. There are 7 options to choose from. This is a good feature as you can change your settings when you get used to hearing a certain adhan in the morning. When it was time for Fajr, I heard the adhan on my phone. It was very loud, indeed! I became conscious of the baby stirring, so I started shaking my phone to stop the adhan from going off a second time. 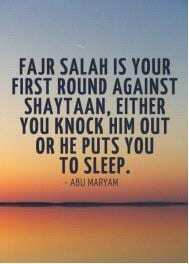 Alhamdulillah, this time I was up for Fajr and I was thrilled! I thought to myself ‘So far so good’. The next night, I changed my trigger option to answering 5 trivia questions about Islam. Only if I answer the 5 questions correctly, will I be able to turn off the adhan and by then, I hope I will be fully awake to pray Fajr. When it was time for Fajr, the adhan played, prompting me to look at my dark screen. Posed with a question about an ayah in Surah Bayinnah, I had 4 options to choose from. I knew the answers to some of the questions, but had to guess the others using a process of elimination as I was feeling quite groggy so early in the morning. I had expected the questions to be quite easy, but they were not. I was made to think and awaken my senses to answer the questions. There was no way of ignoring the questions once the adhan started. When I answered incorrectly, I was immediately presented with another question straight away! I had to complete 5 out of 5! I was up for Fajr again. One of the downsides I noticed is that one cannot exit the app by clicking on the back button, as you normally would with other apps. Also, it would have been more comfortable if the app had its own volume setting because currently, I adjust the volume on my phone instead. In addition, the adhan does not play aloud for any other prayers. This is something that I personally like; however, it might be a disadvantage for other users. Nevertheless, I am confident that the team behind this idea will continue developing and modifying this unique app to meet the needs of the users. Alhamdulillah for the past week, I have found this app to be very useful. It is a unique app, focusing solely on helping Muslims wake up for Fajr prayer. This app has not only helped me achieve my goal of waking up for Fajr, it has also helped me become a more productive Muslimah. By starting my day at Fajr, the rest of my day becomes much more productive. I use the time after Fajr to either read Qur’an or plan out my busy day ahead. There is a unique kind of barakah in the early morning. 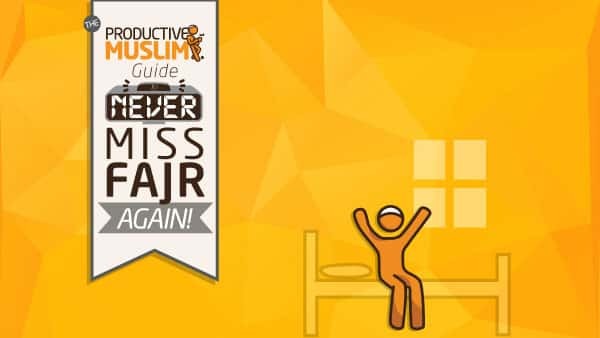 I recommend that you download this great free app and ‘Never Miss Fajr’ again, In sha Allah! Please share with us how you feel about this app and whether you will be using it in the future, In sha Allah. If you have used it, please tell us about your experience. Umm Ammarah has a passion for teaching, studying the Holy Qur’an and motivating others around her to a can-do approach. She has a background in religions and primary education. She is passionate about travelling, creativity and productivity. Currently, she is a homemaker and a mother of one child. Additionally, she is enthusiastic about homeschooling, blogging and seeking Islamic knowledge. Watch out for Umm Ammarah’s upcoming blog that she’ll start upon moving to Makkah, in sha Allah.